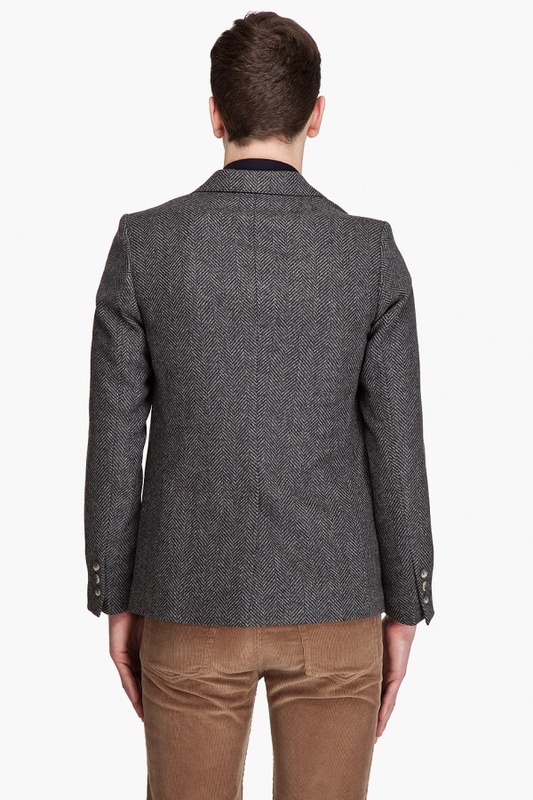 We know that some of the more traditional pieces we cover might not go over so well with the young set, so let’s take a look at this herringbone sportcoat by A.P.C. 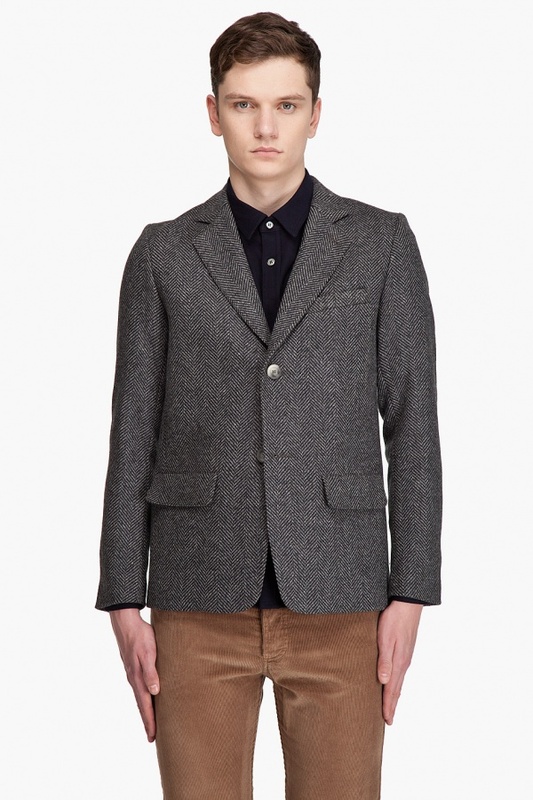 Cropped super close for a youthful fit, and riding stylishly short, this 100% wool sportcoat is a great choice for any stylish young man. 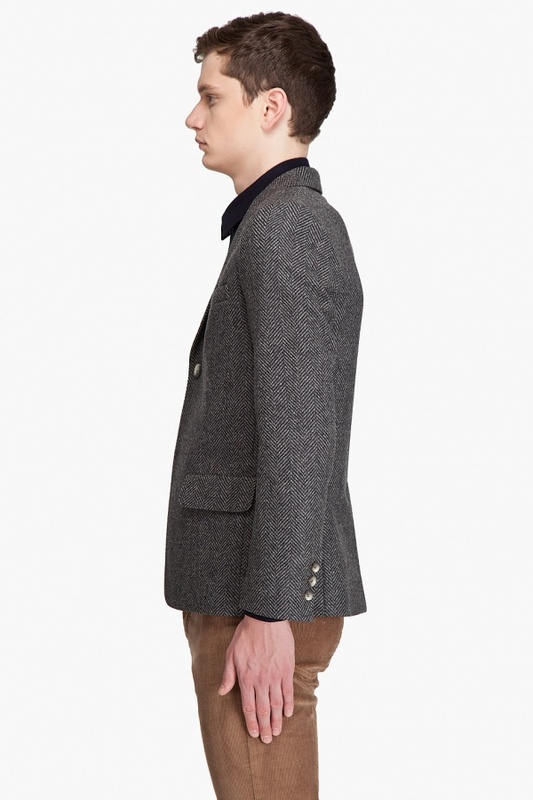 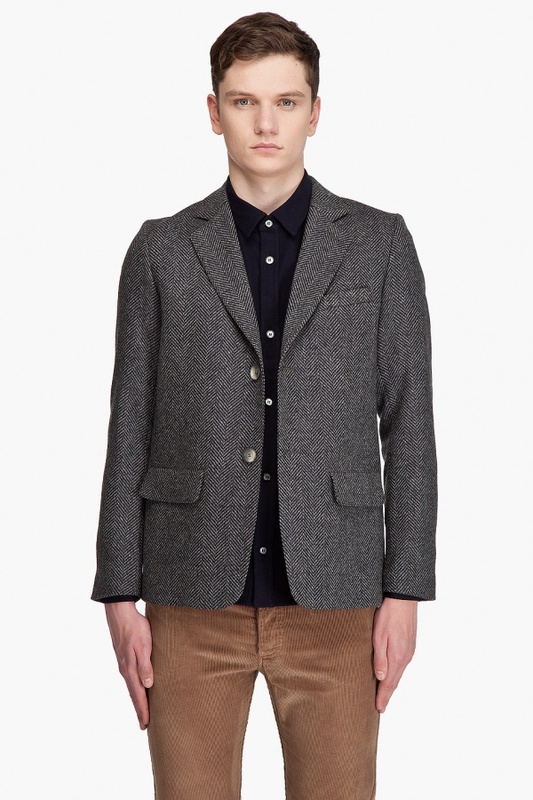 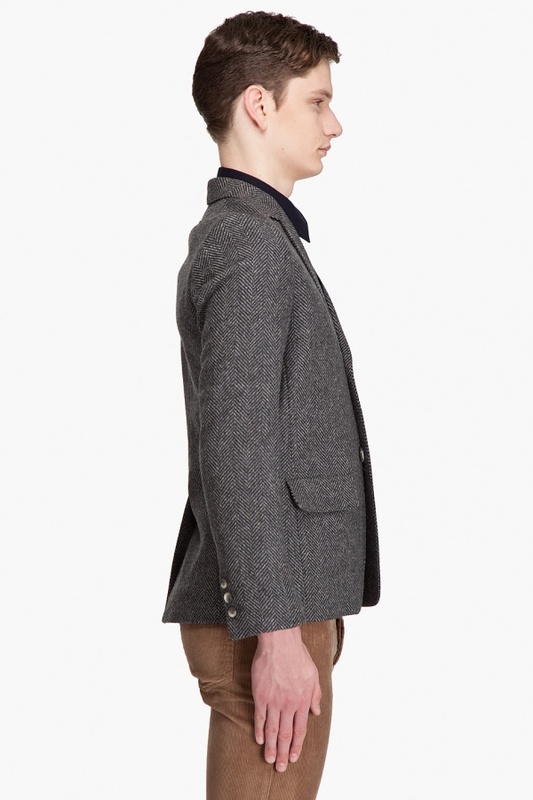 Three buttons with a notched lapel, it’s the perfect coat for fall, you can find it online now.